On the weekend, the misses and I ended up going on a adventure to visit a friend of ours in Saint John, NB. This friend, Melissa, introduced me to Chicken Curry at Churchill Arms on Queen St in Charlottetown so I knew we'd be introduced to something good in Saint John. She ended up taking us to a take out restaurant that was located in the back of a convenience store called Thai Hut and suggested we order the Pad Thai. Three orders of Pad Thai later we were heading back to Melissa's apartment. We downed the delicious Pad Thai which had vegetables, eggs and other ingredients which I have no idea what they were but it tasted super good. 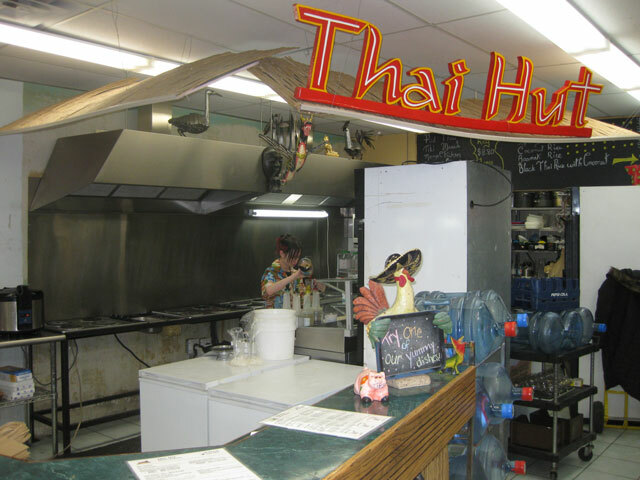 So, when in Saint John I suggest you look up the Thai Hut and try out the Pad Thai.